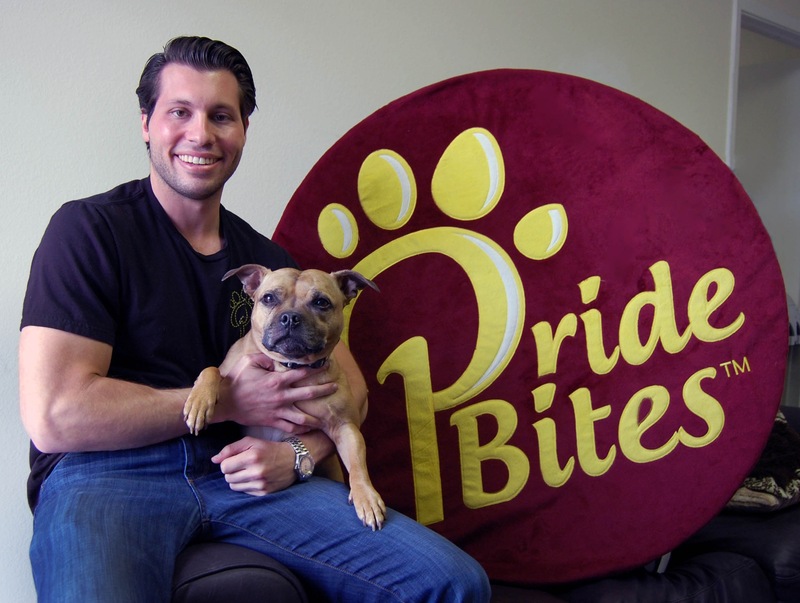 Steven Blustein is the CEO of PrideBites Pet Products, the only company that allows you to easily design, customize, and buy one-of-a-kind pet products. PrideBites is driven by a proprietary manufacturing platform for customizable short-run (e.g., 1 piece) production, and is supported by an outstanding manufacturing infrastructure. PrideBites has been the recipient of multiple best product of the year awards and is loved by dogs all over the world. Blustein graduated from the University of Kansas with his Masters in Tax, and was born and raised in Houston, TX. 1) What is Pridebites?Austin based, PrideBites, is the NIke ID of pet products. Founded by college friends out of a dorm room in 2012, our mission is to give everyone personalized pet products that are just as unique as their pets. Our website, PrideBites.com, allows customers to easily customize and personalize a wide variety of durable products, including toys, beds, and leashes with their pets names and pictures. 2)How did you come up with the idea for Pridebites? In 2012, we were a group of dog loving college students that wanted to create better quality pet products with more options. While watching the emergence of sites like Nike ID, we believed that we could build the same unique experience for pet parents everywhere, allowing them to design and buy products as unique as their pups. We created our first product, the PrideBites dog toy, which won “Dog Toy of the Year” by Pet Business Magazine in 2012 and the business took off from there. We launched PrideBites.com in 2014 and since then we have evolved into a full-fledged custom pet products company. 3) What makes it different to all the other personalisation companies? While there are tons of personalization companies out there, nobody in the pet space offers what we do. Our products are of the highest quality and are fully customizable from end to end. On top of that, because of the relationships we’ve built with manufacturers across the globe, we are able to deliver our products to customers with efficiencies that other companies aren’t able to. 4) Where will the business go in the future? We plan to launch 30+ more products this year, expand our retail presence, and implement an in store/mall kiosk display for on demand ordering. For me, a lot of inspiration was gained during my upbringing in the Jewish community. Being involved in the Jewish youth movement taught me a lot of valuable lessons that evolved my skills as an entrepreneur and gave me the confidence to pursue my dreams. At the end of the day, I wanted to be in a career that I loved and I’m fortunate to say that I am! 6) What advice would you give to aspiring entrepreneurs who want to start a business? I really believe that people should follow their passions and see if they can turn them in careers. If you can do that, you never work a day in your life. We would like to thank Steven for speaking with us. Previous Previous post: Interview with Alexis Piperides, Co-founder and CEO of PROTOIO Inc.